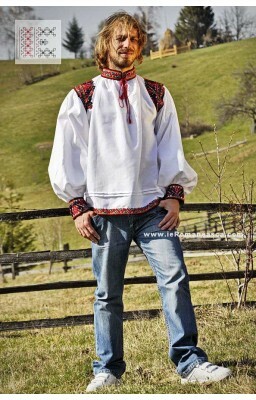 Hand embroidered Romanian men's shirt from Oas area. The pattern is from Oas area (North side of Romania, close to Maramures). 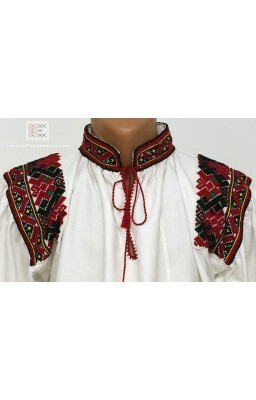 The Romanian traditional shirt is wide tailored according to the specific of the area. 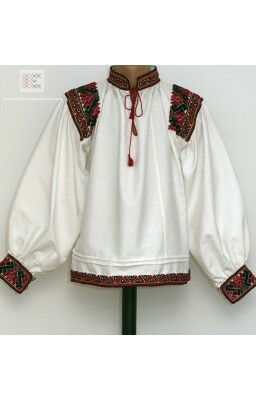 Embroidery threads are meade of cotton. 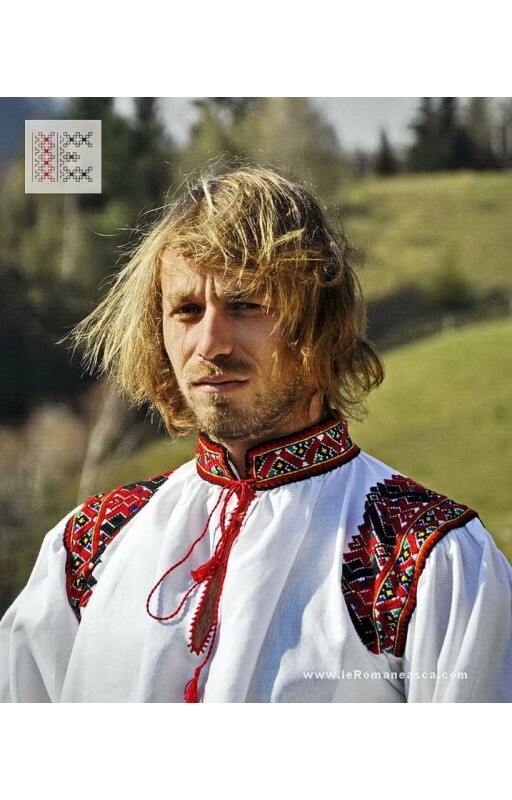 It takes more than 4 weeks to complete the work for one shirt like this.